Each year, acclaimed composer Hans Zimmer picks a handful of blockbusters to cover. Having scored for everyone from Christopher Nolan to Ridley Scott, Zimmer’s glorious style caters specifically to what audiences want from their summer tentpoles. However, by taking on such a high number of popular superhero-action-dramas, people begin to confuse one score with another. For every good Zimmer score (Inception) there’s a tedious one that knocks him back down (The Amazing Spider-Man 2). Last year, one blockbuster he conquered was the controversial Man of Steel. Despite the movie’s mixed response, everyone agreed that his soundtrack was a super-heroic knock-out. Soaring well-above most sombre orchestral scores, Zimmer’s work redefines the blockbuster soundtrack for the next ten years. The first few tracks, chronicling the movie’s intensifying mood and dreary tone, throws John Williams’ original Superman score into the stratosphere to float away from this new universe. The first track, ‘Look to the Stars’, delivers something most superhero movies fail to deliver – a recognisable theme tune. This uplifting track, building to a ravenous and quintessential crescendo, is one of many highlights in this transcendent compilation. Surprisingly, this soundtrack flexes its muscles early on. The second track, ‘Oil Rig’, bangs on the drums – emphasising the danger of certain sequences. Cranking up the rousing orchestral aura, this track further bolsters Zimmer’s encompassing vision. Noticeably, like our titular character’s cape, this soundtrack flutters as it soars gracefully from one track to another. Without compromise, Zimmer’s emotionally resonant harmonies and deft nuances seek to lend as much character as inhumanly possible. From the touching strands of ‘DNA’ and the percussive, mind-melting interludes of ‘Goodbye my Son’, the soundtrack flows in rapid succession from one revelation and unique touch to the next. As is custom for this note-worthy composer, many tracks mould into an idiosyncratic and familiar mass. Drawing us in, each track’s opening chords rise with Superman before zooming into explosive climaxes. Despite the inherent joys and affecting moments, several tracks blend together without lending any time to reflect. However, hitting the audience like Superman punching his adversaries, these walloping tracks hit where we’re most vulnerable. ‘Krypton’s Last’, coming in at a vital moment in this compilation, tells an intimate narrative about pain and vengeance. With Violin-based notes kicking off this track, its only a matter of time before the intense percussive beats kick in. After a repetitive yet wondrous mid-section, with tracks including ‘Launch’ and ‘I Will find Him’ blending into each other, this compilation ends with its most enthralling and memorable track. The aptly-titled ‘What Are You Going to do When You Are Not Saving the World?’ is an extensive homage to the movie’s awe-inspiring vision. 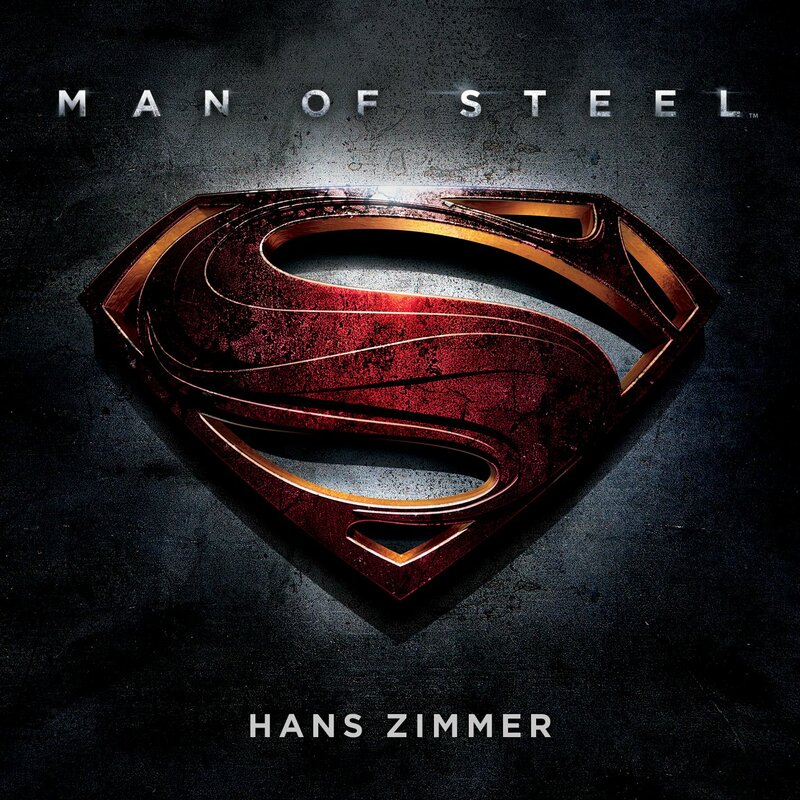 As one of Zimmer’s more interesting and nuanced scores, Man of Steel blends thunderous percussive beats with impressionable rhythms to set an appropriate tone for this relentless blockbuster. Despite the slight repetitiveness, several tracks stand above the bold competition. Delivering a thundering aura, this soundtrack will make you believe in Hollywood’s true potential again. Verdict: A rigorous and energetic score.